THE BIGGEST SECRET OF ERI, MASS PRODUCTION DRY PAPER GRINDING｜ERI Eco Reserch Institute Ltd.
Paper Powder is our secret though we are still learning a lot. Please see our dry gridning system at Technology Page. Paper grinding is extremely difficult as most of you already know. 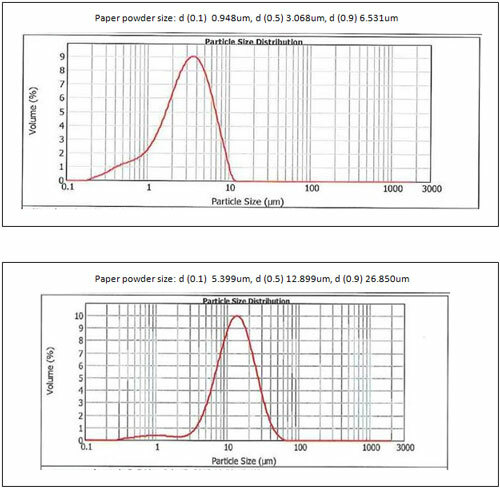 Here are a few examples of our particle size distribution.